A tech junkie since he was a kid, Donovan says nothing excited him more than new gadgets like a Casio watch or a TI-85 calculator. Tech was so rudimentary back then that it’s intriguing to imagine what could have emerged if the power of the iPhone was unleashed in the early ’90s. Apple throwbacks aren’t the only concepts in Donovan’s repertoire, though. He’s also dreamed up handheld single-serving games based on The Big Lebowski and Game of Thrones. For the latter, he envisions kids bragging to friends about how quickly they unlocked a Valyrian steel sword in level 6, although some people have suggested he add a “disrobe” button to make the fake game more HBO-appropriate. 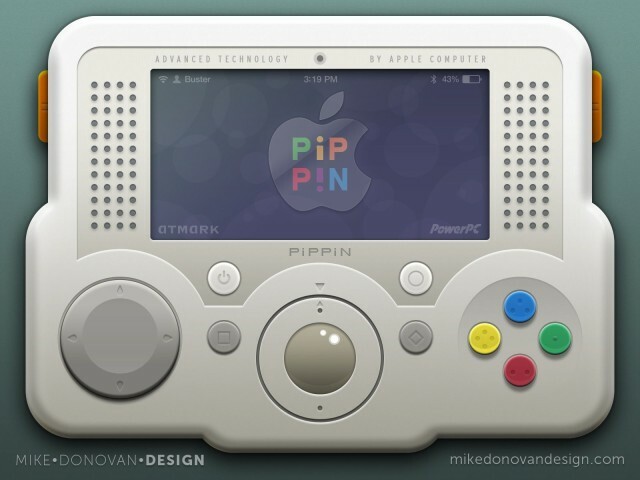 For all the time he’s spent studying Apple devices and envisioning mythical gadgets of yesteryear, Donovan says it inspires him to pour attention into both big-picture concepts and the finer details of UI design. Even though he’s not a hardware designer, we have a hunch his ideas could’ve fit in with Apple in the early decades.